Looking for suppliers of colostomy bags? Search no further. 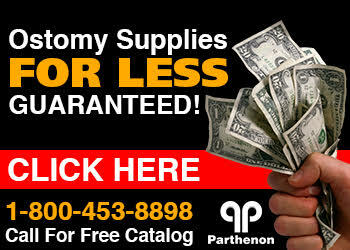 The Parthenon Company carries complete ostomy product lines of all the major manufacturers AND guarantees the lowest price! We have been serving our valued customers since 1961 and take great price in providing exceptional customer service and prices. What is a colostomy bag? 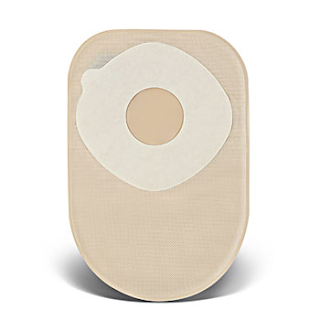 It is an ostomy bag that adheres to your abdomen to collect feces from your stoma. A stoma, in this case, is an intestinal diversion to route stool and flatus out of the body. This can result from colon cancer, knife/gunshot wounds and other GI trauma. Sometimes a colostomy bag is needed for a lifetime while it is a temporary situation for other people. Hundreds of thousands of people have them and at least a hundred thousand per year are added to the population. Major colostomy bag manufacturers are Coloplast, ConvaTec, Hollister, and Nu-Hope.